What is happening in the Indigenous art world in our region? Find out at the 13th annual IN THE SPIRIT Contemporary Native Arts Exhibition, where you can see 29 works from 21 Native artists. The exhibition opens Saturday, June 30 at the Washington State History Museum in Tacoma and will be on view through Sunday, August 12. There will be three opportunities for visitors to meet some of the artists as well: the awards ceremony on July 1, 3:00 PM; gallery talks on Third Thursday evening July 19, 5:30 PM; and the Northwest Native Festival on August 11, 12:00-7:00 PM. IN THE SPIRIT connects the Washington State Historical Society’s (WSHS) Native collections with the vibrant contemporary arts scene. 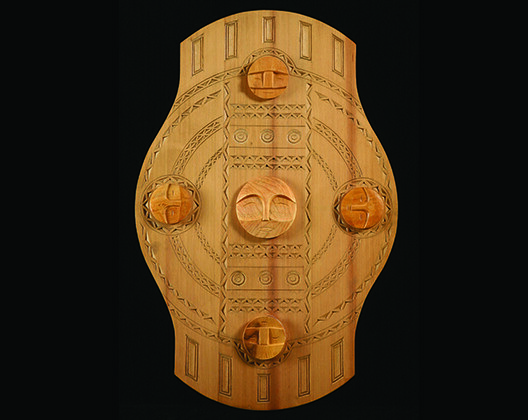 Visitors will see mixed media, paintings, beadwork, textiles, sculpture, carving, and basketry. Many of the artists live in Washington but others hail from Idaho, Montana, Michigan, Minnesota, and even as far as Vermont and Virginia. Art collectors will be interested to know that most of the works in the show are available for purchase. 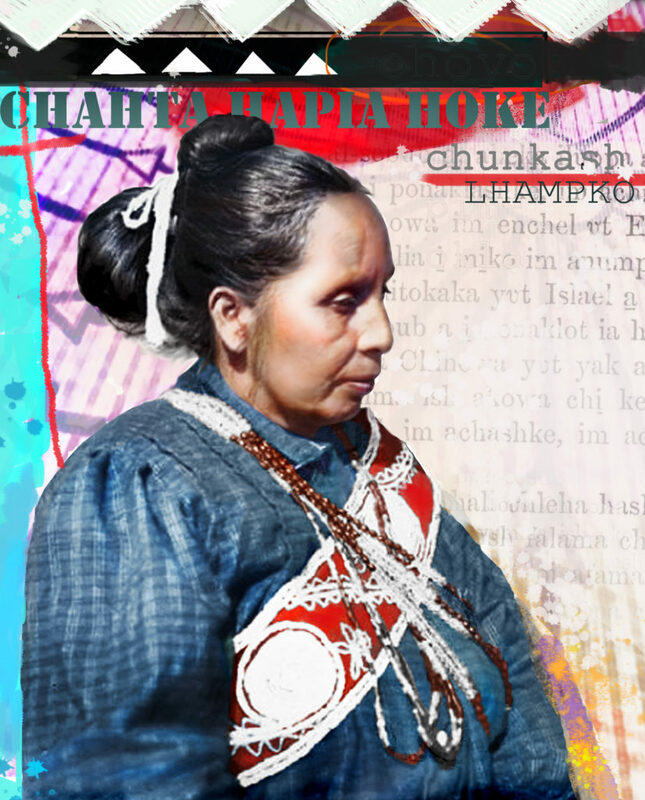 Each spring, Native artists from many states and Canada submit work for consideration by a jury of local artists and curators. The 2018 jury included artist Alex McCarty, Makah, a graduate of Evergreen State College; curator and artist Asia Tail, Cherokee, a graduate of Cooper Union School of Art in New York; and Lynette Miller, head of collections at WSHS. The Washington State Historical Society typically adds one work from each annual exhibition to its collection, and the selection is announced at the artist awards ceremony (in 2017, RYAN! Feddersen’s mixed media sculpture Micro Spill was chosen). 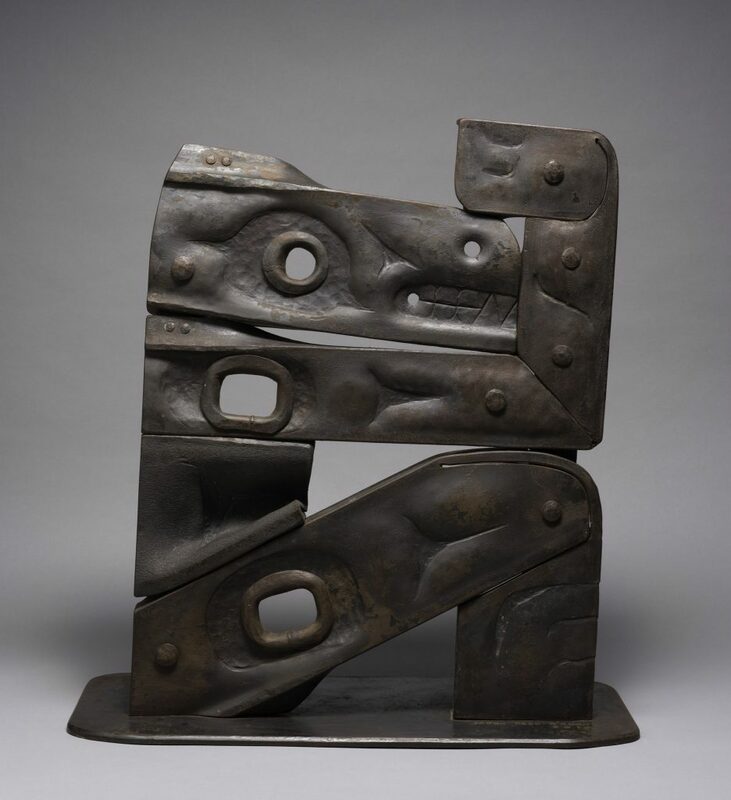 The 2018 artist awards will include Best in Show, Honoring Innovation, Honoring the Northwest, and Honoring Tradition, along with the purchase prize. During the run of the exhibition, visitors can cast votes for the People’s Choice first and second place awards. Ballots are available in the gallery, and People’s Choice winners are revealed at the culminating festival. The free IN THE SPIRIT Northwest Native Festival is an indoor/outdoor celebration on Saturday, August 11, from 12:00 to 7:00 PM, co-hosted by the History Museum and Tacoma Art Museum. Celebrate the diverse cultures of the Northwest with a Native arts market, dance, song, music, food, and a designer runway fashion show. The day will end with a performance by special guests Khu.éex’ (pronounced koo-eex), a band co-founded by artist and musician Preston Singletary. Khu.éex’ translates to “Potlatch” in the Tlingit language. The History Museum and Tacoma Art Museum are excited to bring this immersive festival experience to the community. For more information, see www.inthespiritarts.org. Rekindle the wonder and delight of your favorite childhood moments at Toytopia at the Washington State History Museum in Tacoma. The new exhibition is on view until June 10. What was your favorite childhood toy? A jump rope, a board game or Space Invaders? An Easy Bake Oven or a Slinky? You’ll find your favorites in Toytopia. The exhibition is huge and offers BIG fun! The museum’s fifth floor is a magical toyland where you can play with the world’s largest Etch A Sketch, a life-size doll house, a human-scale Monopoly car and much more. It will delight the “kid” in everyone. “Our goal was to capture the essence of childhood wonder, that dream of being in a world of toys,” said Troy Carlson, owner of Stage Nine Entertainment Group, who created the exhibition. The world’s largest Etch A Sketch, close to 8 feet tall. Retro Arcade Area with working games to play. A life-size Monopoly car and game board—sit inside for a unique photo opportunity! From the movie Big starring Tom Hanks: the giant piano keyboard and the fortune teller machine Zoltar Speaks. LEGO® wall, play area and a fanciful electric train running through an inventive LEGO® landscape. A signature Jack in the Box exploring the science of toys, from Furby® to radiometers. Keva Planks, Lincoln Logs and Brain Teasers play areas. Take a walk down memory lane through decades of toys, many giant-sized as seen here. (Don’t miss the walkthrough doll house, and take a seat in the Monopoly car for a great photo op!) See favorites from your childhood at the Washington State History Museum, Tacoma, through June 10. Welcome to a journey through the miniature world of model trains! The Washington State Historical Society’s 22nd Annual Model Train Festival chugs into town December 22, 2017 and is open through January 1, 2018. The festival takes place at the History Museum in Tacoma. The state’s largest permanent model train layout is always featured at the museum, operated by Puget Sound Model Railroad Engineers; the Model Train Festival brings other railroad clubs from around Puget Sound to share their amazingly detailed layouts. 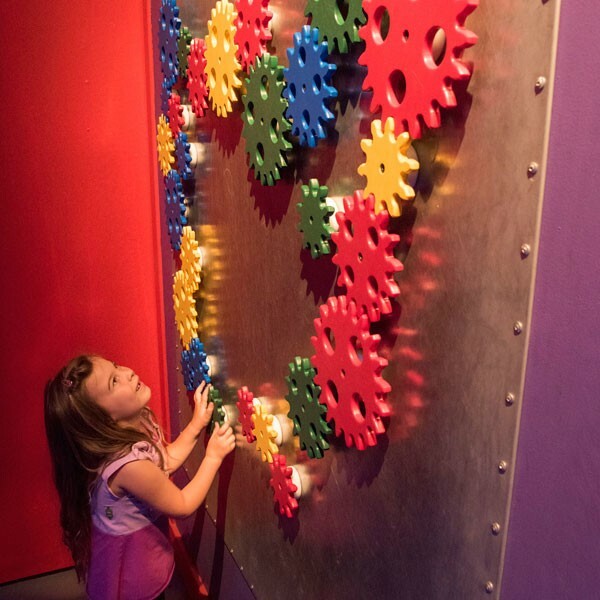 Visitors can travel among the many displays, watch dozens of tiny engines rolling across trestles and through tunnels, talk with the operators, and make their own train creations in the TNT Activity Room. Santa is making a stop at the Model Train Festival, too. Come to the museum on Friday, December 22 or Saturday, December 23, from 11:00 AM through 3:00 PM to greet this cheerful visitor from the North Pole and take advantage of a free holiday photo opportunity. “The Historical Society really enjoys hosting the Model Train Festival. The festival has become a popular holiday tradition for families and their guests because it delights the child in all of us. Everyone has fun watching the model trains and just enjoying the festive atmosphere, not to mention learning a bit about the history of railroads while they’re here,” said the museum’s director, Jennifer Kilmer. In addition to the model trains, in the Great Hall of Washington History visitors can see artifacts and find out more about how the railroads influenced growth and development in Washington State. The Telegraph – Morse Code Club will present an interactive display chronicling the history of the telegraph as it relates to railroading. Visitors can also stop by Operation Lifesaver’s exhibit, educating the public about safety at railroad highway crossings and the dangers of trespassing on railroad property. Their current focus is the new Amtrak route between Tacoma and Nisqually. The Tacoma Chapter of the National Railway Historical Society (NRHS) will be on-site to celebrate and promote the 20th anniversary of Rail Camp, which gives teens the opportunity to spend a week with other teens who share railroad interests. The NRHS crew will also honor the end of an era: Since 1914, at least one train per day, almost every day, carried passengers from Portland to Tacoma, rolling along the Puget Sound shoreline and Commencement Bay. That passenger service ends on December 18, 2017. NRHS will share photos and stories of the route’s 103-year history. 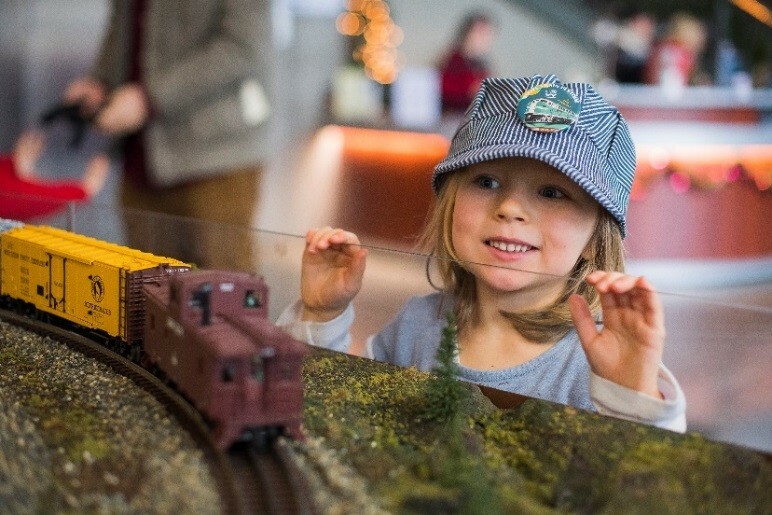 Bring the railroad buffs in your life to the Washington State History Museum, 1911 Pacific Avenue, Tacoma, for this annual celebration of holiday cheer and history. Details at www.ModelTrainFestival.org. The museum will be closed on December 24, Christmas Eve, and December 25, Christmas Day. Beer, Wine & Coffee lovers listen up! Beer, Wine and coffee this exhibit includes something for every adult! Now open and running through Sunday, April 23, at the Washington State History Museum in Tacoma is showcasing its newest exhibit, Steins, Vines & Grinds: Washington’s Story of Beer, Wine & Coffee. Steins, Vines & Grinds documents the long history of beer, wine and coffee in Washington, from early Hudson’s Bay Company imports through modern-day innovative processes. Even predating statehood, beer, wine and coffee quickly became important commodities. All three beverages could be found inside the walls of Forts Vancouver and Nisqually. Whether roasting their own green coffee beans from Hawaii, sipping on homemade wine or imbibing a bottled India pale ale from London, early Northwest settlers took the first steps in the creation of a cultural phenomenon. Visitors to Steins, Vines & Grinds will be immersed in the origins of these three beverages in Washington. Museum guests can see an unopened bottle of Rainier Beer discovered in a sunken ship, a grape press used by Croatian winemakers in Gig Harbor, coffee and beer mugs and wine bottles and glasses ranging back in time, a bobblehead brewmaster and inflatable bottles, and a host of beverage memorabilia and ephemera that includes posters, neon signs, beer trays, and more. Thursday, March 2, 7 – 9 p.m.
Wednesday, March 15 at 6 p.m.
Thursday, March 30 at 7 p.m. The Washington State Historical Society will hold its 11th annual summer public event on Saturday, Aug. 13, from 11 a.m. to 5 p.m. at the Washington State History Museum, 1911 Pacific Ave. in Tacoma. 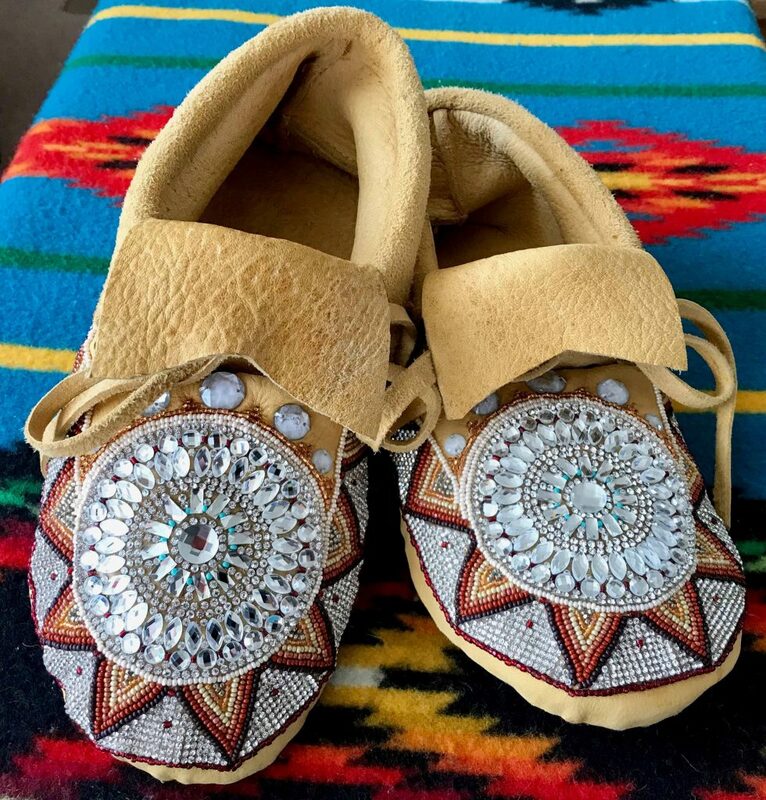 IN THE SPIRIT Native Arts Market and Festival highlights handmade Native American artwork and features musicians, dancers, demonstrators, traditional Native foods, and much more. Vince Redhouse, Grammy-nominated Navajo flute player born and raised in California. He has played music since the age of seven and continues to love creating music. Not only will he be the first performance of the day, but will also be selling his CDs and other merchandise throughout the day as a festival vendor. Alaska Kuteeyaa Dancers, who have performed at the IN THE SPIRIT festival every year since its inception in 2006 and tend to be a crowd favorite. Tiny Barril has an incredible ability to tell native story through song, dance and presence. Adorned in button blankets and masks, the group can transform the museum into a gathering about a fire in the Alaskan wilderness. Rona Yellow Robe Walsh, named the 2014 Native American Museum Awards’ Flutist of the Year. She is a member of the Chippewa Cree Tribe and was born and raised in Montana. Rona has three albums available and has performed at IN THE SPIRIT for several years. The Le-La-La Dancers from Vancouver Island in British Columbia, Canada. They have traveled and performed as a traditional Kwakwaka’wakw dance company throughout the world for over 25 years. Their performance will highlight various spiritual entities through dancing, music and masks. They often play a large role in performances at the annual Aboriginal Cultural Festival in Victoria. During the extent of the juried art exhibit, which can be viewed at www.InTheSpiritArts.org, museum patrons have been voting for their favorite piece. The Washington State Historical Society will present the winner with the highly-coveted People’s Choice Award during the Aug. 13 festival. The exhibit closes the following day. This year’s market and festival will take place inside the History Museum due to ongoing construction on the Museum’s outdoor plaza and amphitheater. For more information on the construction project, please visit www.washingtonhistory.org/construction. Quilters quilt and painters paint, but there is a world of di-mension behind the work of fabric artists. As the newest exhibit at the Washington State History Museum—Cutting Edge: Art Quilts of Washington—shows, quilting is an artistic medium in and of itself. Cutting Edge: Art Quilts of Washington is a collaborative effort between the Washington State Historical Society, which also has a number of historic quilts from its collection on display, and the Contemporary Quilt Art Association, a diverse group of artists, teach-ers, writers and collectors from throughout Washington. The juried exhibit features the work of association members, who view quilts as an exciting medium of expression and a viable contemporary art form. 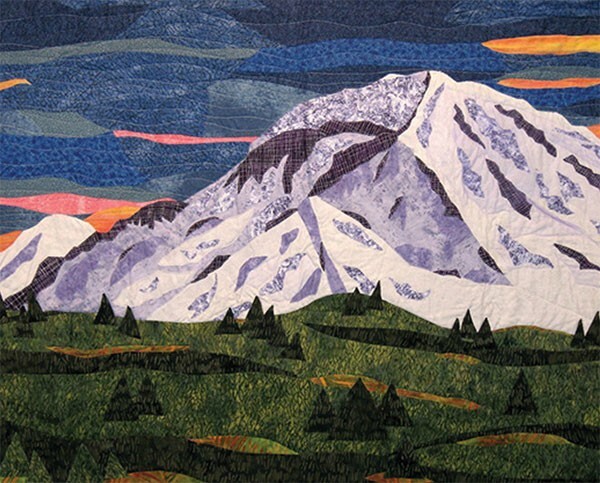 Cutting Edge: Art Quilts of Washington through Aug. 21 at the history museum, 1911 Pacific Ave., Tacoma.